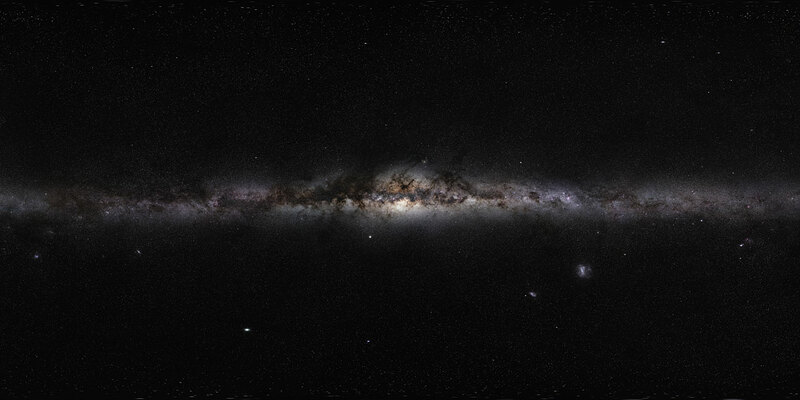 The Milky Way is made from many different structures. The oldest parts, the globular clusters, are almost as old as the Universe. The thick disc and bulge are the next oldest, and the thin disc is the youngest structure in the Milky Way. Each structure took billions of years to form. They are normally defined by the velocity dispersion of their stars, and by how metal-rich their stars are. The thin disc formed about 8.65 billion years ago. The thin disc is made up of the third generation, or the population I of stars. These stars have already a lot of different elements in them, which makes it possible to form rocky, Earth-like, planets. The main materials for planet formation are ices, iron and silicates. Our Sun is a population I star. New stars continue to form in the Milky Way today.